Would you like to foster for Cats Protection? 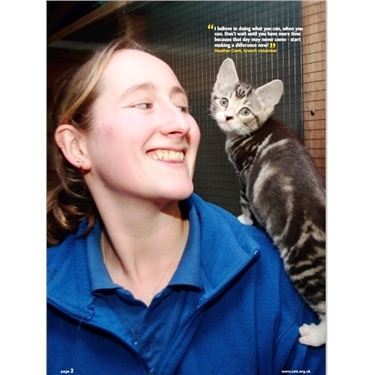 Fosterers needed to look after cats and kittens until a new home is found for them. Do you have a spare corner in your garden for a purpose built pen, if you don't have animals of your own we could set you up as an indoor fosterer.